Originally known as Icicle and Icicle Flats, Leavenworth has an interesting history. The Wenatchi Indians originally inhabited it until western settlers arrived in the nineteenth century. The population of the area began to increase in the late nineteenth century when the railroad came to the area. In 1892, Great Northern Railway (later became part of the Burlington Northern Santa Fe Railway) began construction on the first rail route across Stevens Pass, which is a 4,061–foot mountain pass thirty-five miles west of Leavenworth. The railway followed the Wenatchee River and a town site was established. The city takes its name from Charles Leavenworth, who bought the land in the present–day downtown and platted the community. Construction of the rail way was completed in 1893. Leavenworth is surround by conifer forests with the principal tree species being Ponderosa Pine. In 1903, the second largest sawmill in Washington State was built in Leavenworth. The city officially incorporated in 1906, and at that time was headquarters of the Great North Railroad. The combination of the railroad, timber, and agricultural industries bode well for Leavenworth and its population swelled to about 5,500 residents. However, the 1920s brought great misfortune to Leavenworth as it did to much of the country. In 1922, the railroad relocated its headquarters to Wenatchee, causing an adverse impact on Leavenworth's economy. Due to the decline of the railroad and timber industries, the city struggled for decades. In 1962, the Leavenworth Improvement for Everyone ("LIFE") Committee was formed. The decision was made to transform the city into a Bavarian style themed village to attract tourists in hopes of revitalizing its economy. 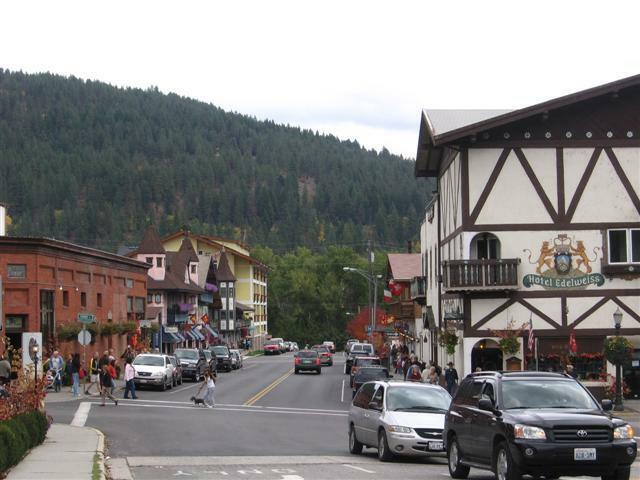 The city's leaders felt that if the town could combine authentic Bavarian architecture with Leavenworth's alpine setting, it would attract visitors. All buildings in the city's downtown are required by code to adhere to the theme. The transformation has been a resounding success. The city now attracts over two million visitors a year and its annual Oktoberfest celebration is considered one of the largest in the world outside of Germany. 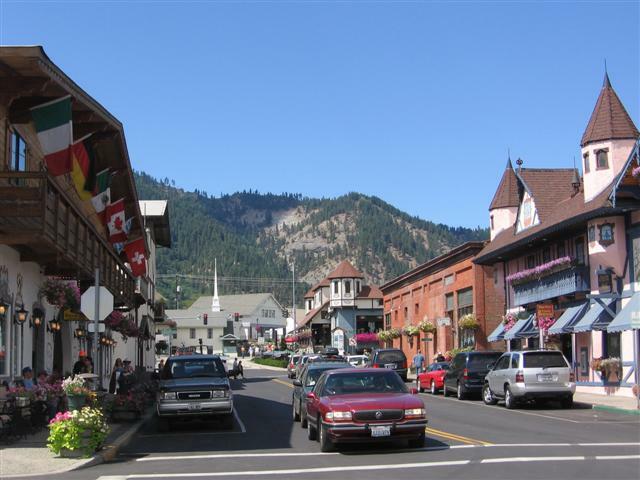 Other cities, such as Winthrop, Washington, have duplicated Leavenworth's success adding distinctive architectural themes to their municipal building codes.